Has your trusty laptop started showing signs of ageing? If your laptop has served you well for over 2 to 3 years, that is a pretty good track record for any kind of laptop. However, it is very likely that your laptop is not as fast or reliable as it once was. Some of you are also probably on the verge off getting rid of your laptop and buying a new one. So is there still hope for your trusty old laptop? Fortunately, there is. Why spend money on an expensive new laptop, when you can revive your old one for less than half that price? 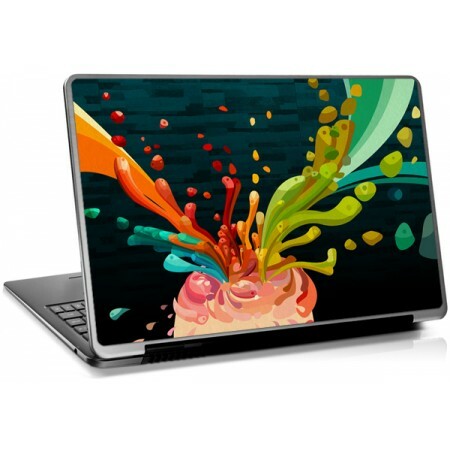 With the right laptop upgrades, you can easily and quickly revive the life and performance of your laptop and get a few more years out of it. In this blog post, we take a look at upgrades that are affordable, sensible and work well with most kinds of laptops. 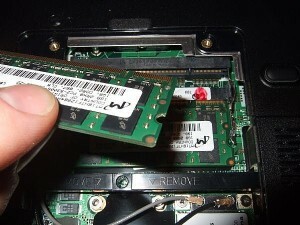 RAM or Random Access Memory is the most common form of computer memory. Every time you open a program on your PC, it gets loaded from your hard drive into your RAM. This is because reading data from the RAM is much faster than the hard drive and allows programs to function without any lag. The more RAM your computer has, the more data that can be run off of the RAM, thereby speeding things up. The quintessential upgrade for any computer is more memory. Upgrading the RAM (memory) on your laptop is the easiest decision you can make. All you need to do is check with your system manufacturer or laptop manual to see what type of memory (RAM) works with your laptop and the maximum capacity of memory it supports. To give you an idea, 1 GB of memory is pretty average while 4 GB of memory is pretty good for most operating systems these days. Consider your system’s needs before you go ahead and purchase new memory. Corsair, Crucial, Kingston are popular laptop RAM manufacturers that you can choose from. One thing to keep in mind is that 32 bit Windows operating systems do not support more than 4 GB of RAM. You will need to upgrade to a 64 bit operating system to add more memory. A hard drive is a self contained, sealed storage device in your computer that stores all your data (files, folders and more). It is short for hard disk drive because it contains a stack of disks that are mounted inside the case. These disks spin extremely fast so that data can be accessed immediately from anywhere on the drive. The data is stored on the hard drive magnetically, so it stays on the drive even after the power supply is turned off. Switching to a faster, higher capacity hard drive should be next on your list. If you have got a hard drive that is running out of space or not performing as expected, it’s time to switch to a new hard drive. Hard drive capacities can range from under 100 GB to 6 TB of space. Yeah, that’s a lot of storage space! The disk speeds go from 5400 rpm to 15000 rpm, although a 7200 rpm hard drive is probably a safe bet. When you are looking at traditional spinning-disk based hard drive replacements, look for hard drives with a lot more space for the price you pay, more Cache built in and a higher RPM rating. These features determine how much of performance boost you can expect to see in terms of disk read and write times and of course the excess storage for all your favorite media. 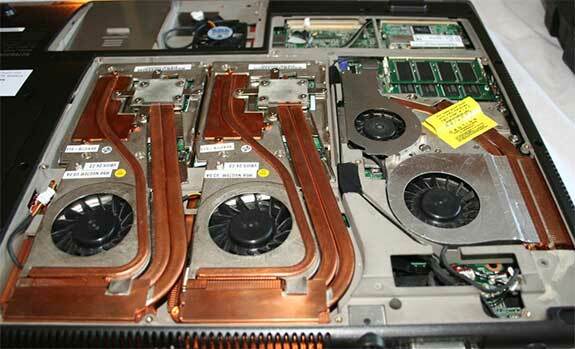 Traditional hard drives can either be Parallel ATA Drives (PATA – older) or Serial ATA Drives(SATA – newer) and are typically 2.5″ in size. Seagate, Western Digital, Hitachi and Toshiba are some of the top hard drive manufacturers. However, if your computer is fairly new and supports Solid State Drives (SSDs), a high performance Solid State Drive can really speed things up on your laptop and increase your boot times. The lack of moving parts in SSDs mean your data is safe when you’re on the go or if you’re pretty rough with your laptop . The inherent downsides of SSDs are that they are more expensive than traditional hard drives and have a shorter life cycle. Intel and Samsung are two SSD manufacturers that we highly recommend. Still a little wary about hard drives? Here’s a great guide on hard drives and its specifications. If your laptop has poor or outdated wireless internet capabilities, investing in a new wireless internet card can greatly improve your laptop’s internet performance. 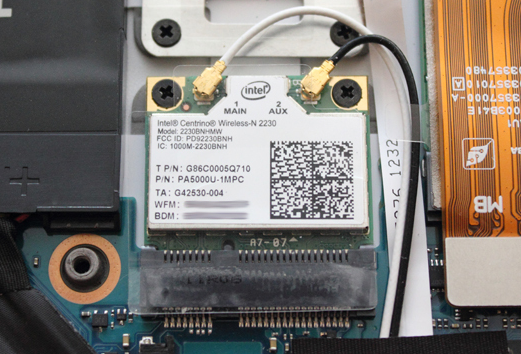 Ideally, you would want your wireless card to support the latest Wireless Networks (For eg: Wireless-N) and work on both 2.4Ghz and 5.8Ghz wireless bands. 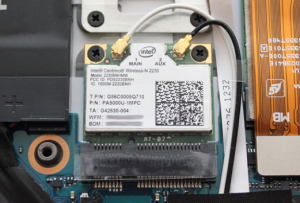 Before you go ahead and buy one, it is a good idea to find out if your wireless card can be easily replaced (it isn’t soldered to your motherboard), overall dimensions and the size (full height and half height) that your laptop supports. If you are willing to go the distance and don’t mind the crazy expenses, you can seek the help of an experienced laptop technician or third-party repair shop to disassemble your laptop, take out your old processor (CPU) and/or Graphics Card and replace it with a better, faster alternative. This of course depends on how easy it is to access your laptop’s original CPU or graphics card and the availability of good replacements. Some graphics cards are typically soldered on to your laptop’s motherboard and accessing your processor is no easy task either. 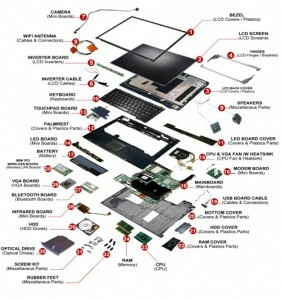 Mistakes or errors in replacing either of these components could potentially brick your laptop. If some part of your laptop is falling apart, consider replacing things like broken hinges, loose buttons, missing parts or damaged ports to make sure everything works well. 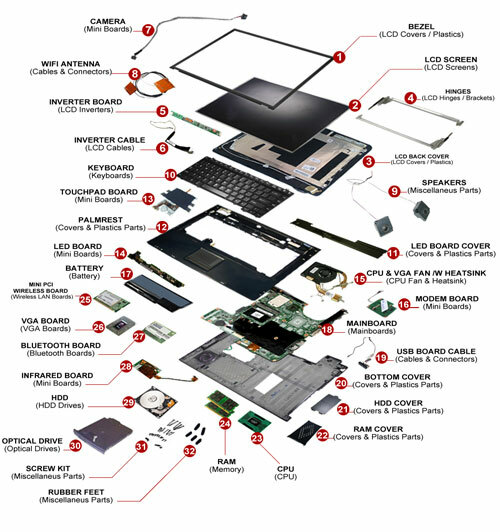 You should be able to contact a reliable laptop repair center or your laptop manufacturer to order in these replacement parts. Looking to go all out and impress the crowd? There is nothing cooler than personalizing your laptop and making it your own. You can either start with your favorite set of stickers or choose from professionally designed laptop skins for your laptop. A quick Google Search for Laptop Skins should help you find the perfect laptop skin for your laptop. Let’s face it. 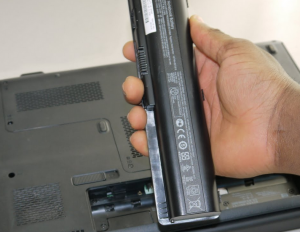 Laptop batteries like most rechargeable batteries wear out over time, a lot sooner depending on your usage. From what we have seen, laptop batteries last anywhere between 2-3 years. So if your laptop’s battery is on its last leg, replacing it with a newer battery can get your laptop going again and keep it mobile for a few more years. In some cases, it might also be possible to buy a higher capacity battery for your laptop. We recommend that you check your laptop’s battery specifications and buy an original battery replacement from licensed battery vendors like BatteriesPlus.com, LaptopBatteryExpress.com or LaptopBatteryDepot.com. You must already be excited about all these upgrades. Well, don’t let us hold you back. Start by researching these upgrade options further, look through your laptop’s user manual to check compatibility and go shopping. When shopping, it is always a good idea to check with a few different vendors and sources to ensure that you are getting a good deal. 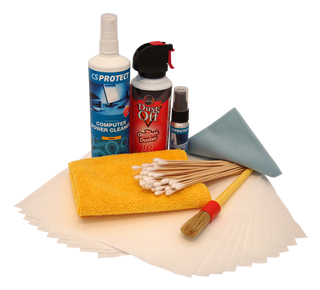 We can’t wait to hear about your laptop reviving experience! Got a question? Concerned about an upgrade? Let us know in the comments section below and we’ll help you out!